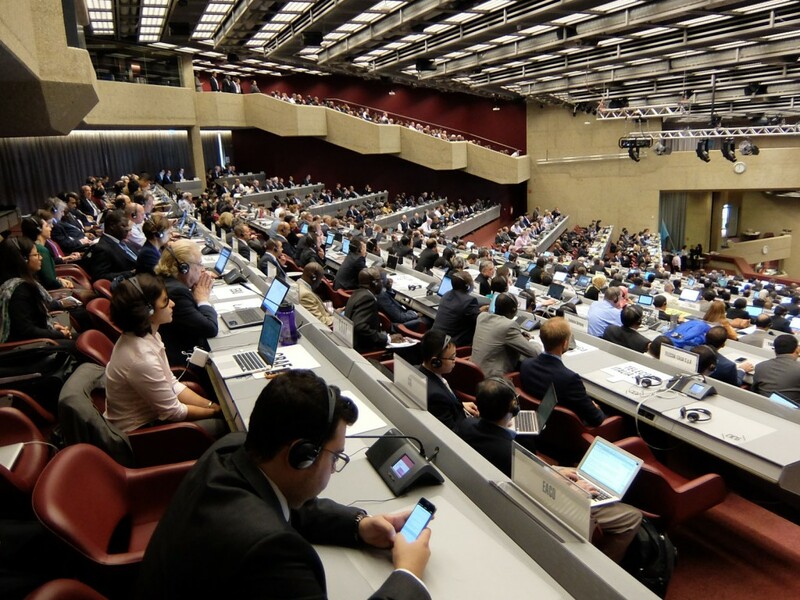 The World Radiocommunication Conference 2015 (WRC-15) was held from 2 until 27 November in Geneva. The following CRAF members participated for various amounts of time in the conference: Talayeh Hezareh, Wim van Driel, Hans van der Marel and Ivan Thomas. From the perspective of the radio astronomy WRC-15 was successful. There were several agenda items that could have a smaller or bigger impact on radio astronomy, but CRAF, together with our colleagues from IUCAF, managed to minimize the impact for most of the agenda items. Despite the results of the agenda items of the WRC-15, the issues for the radio astronomy service (RAS) are not yet fully resolved or finalised. CRAF will continue its involvement in the development of new ECC Decisions and reports, to make certain that any new allocation nearby or adjacent to an RAS frequency band will meet the proper standards to avoid interference with the neighbouring RAS bands. Thanks to all who supported CRAF and the radio astronomy in the preparations for WRC-15 and during WRC-15!